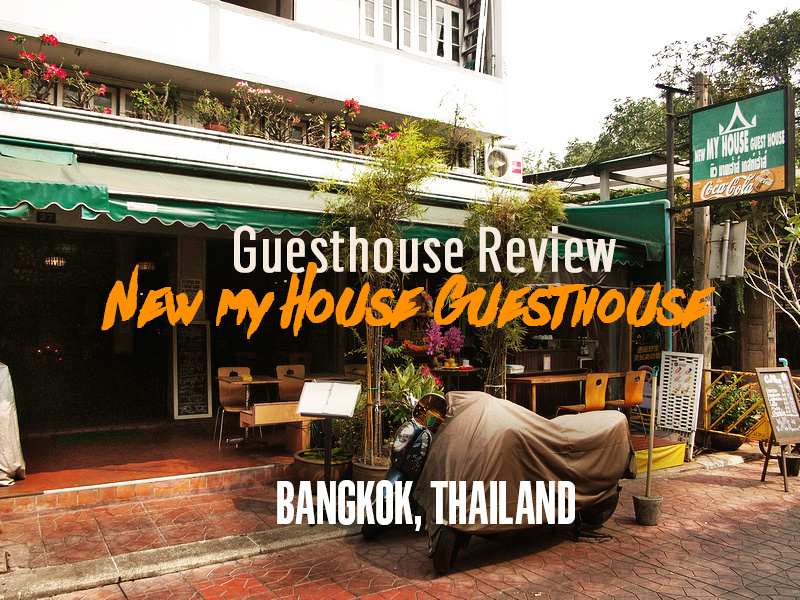 I stayed at the New My House Guest House in Bangkok, Thailand. 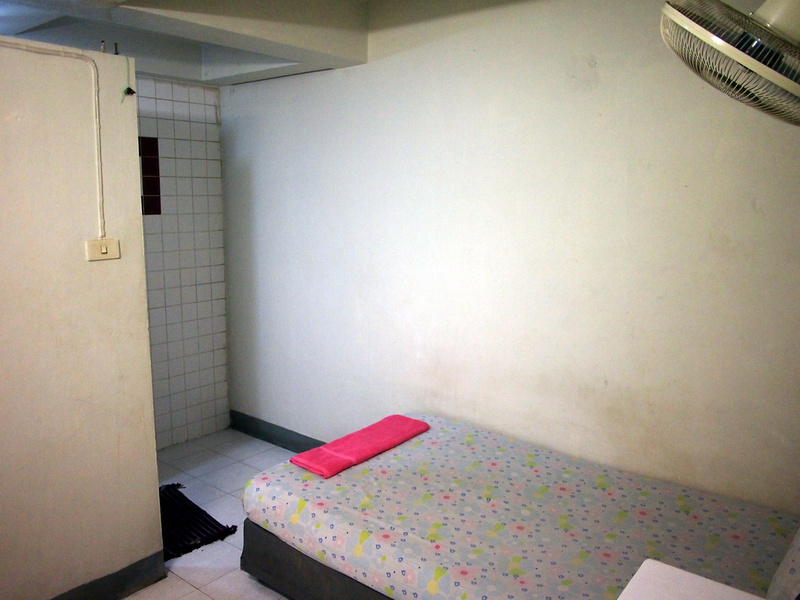 I walked in off the street and got a single room with bathroom for 250 Baht ($7 USD). 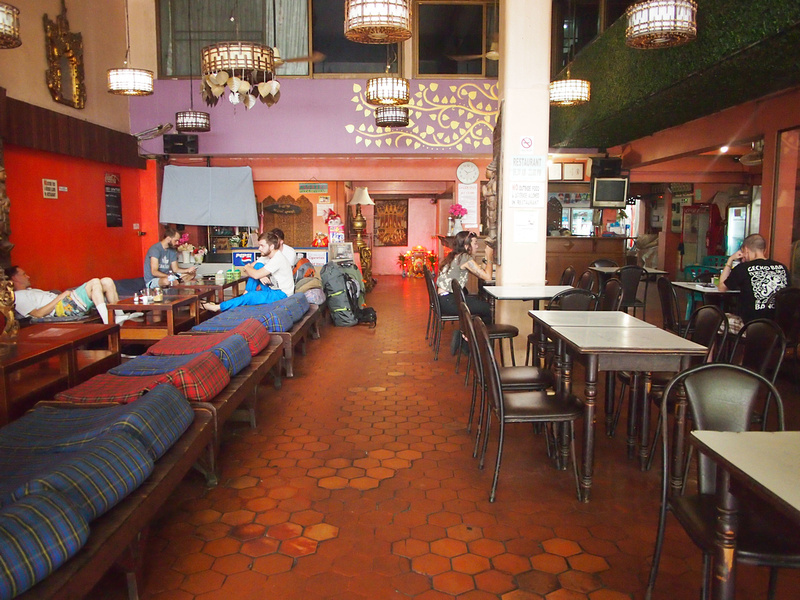 This guesthouse is off Rambuttri Rd in the Khao San Road area of Bangkok (the backpacker street). There are still a number of guesthouses in this area that don’t have an online presence and rely purely on backpackers walking in without a booking. They are spartan to say the least, and some of them are downright grim, but they are mainly catering to budget backpackers on big round-the-world trips who are on a tight budget. Back in the old days before online bookings this is how most backpackers found a place, usually with a Lonely Planet clutched in one hand as they made their way around the recommended accommodation options. If you are arriving early in the day you have a good chance of finding such rooms before they book out for the day. As it was I was already staying in the area, and I stayed to see what a backpacker guesthouse looks like in 2016. I much prefer the Rambuttri Road area over Khao San Road as it is lined with trees and it doesn’t have the noisy nightclubs like on KS Road. When I checked in they gave me the option of taking a room with internet or without. It was 50 Baht extra for a 24 hour wifi pass, otherwise you could have the room for 200 THB. I suppose a backpacker counting their baht could get by with checking their emails in any cafe or public space that has wifi. The room had no window and it was pretty grim. The bed sagged in the middle to the point of feeling like I might roll out of bed. There was a towel but no top sheet (so bring your own towel). It was several degrees hotter than outside, giving the impression of stepping into a sauna. 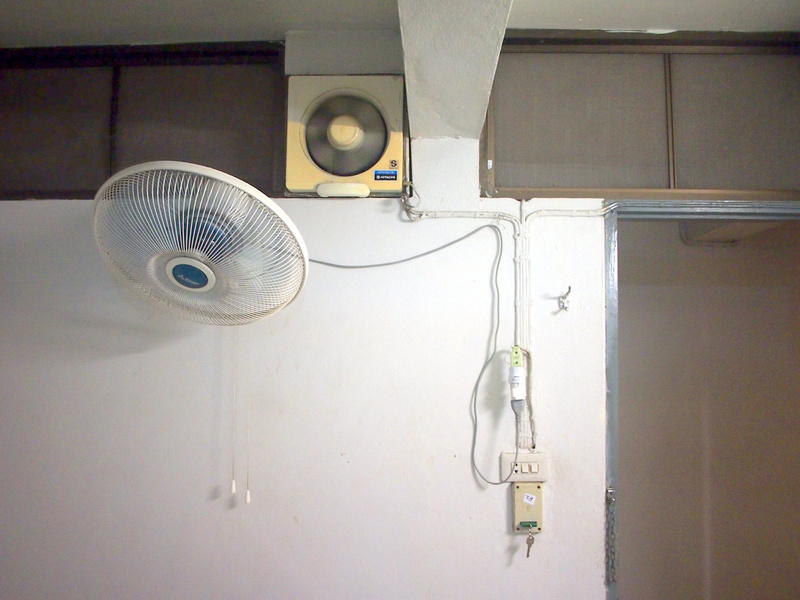 The room had a wall fan and an extraction fan, and there was fly wire on top of the wall to let in light. I recall the old budget rooms having thin partitioned walls with the fly wire above. This one at least had solid walls. The bathroom was ok, clean enough at least. 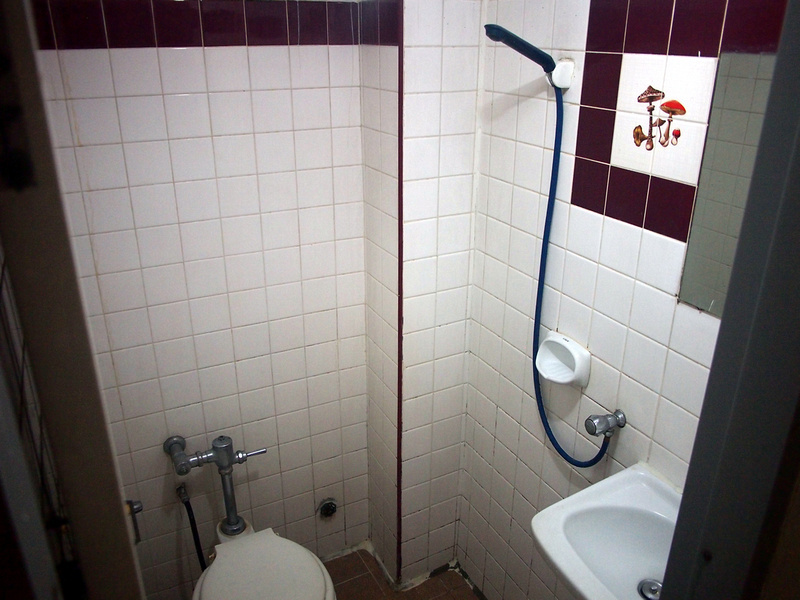 Cold shower (no problem in Bangkok) and nowhere to hang toiletries or a towel. Downstairs in reception there is a restaurant and bar, and they also still run movie nights whee you can buy a drink and chill out on these lounges. If you are going to stay here then your best bet is to just turn up ad ask for a room. If there are no rooms there are a bunch of other cheapo places nearby. 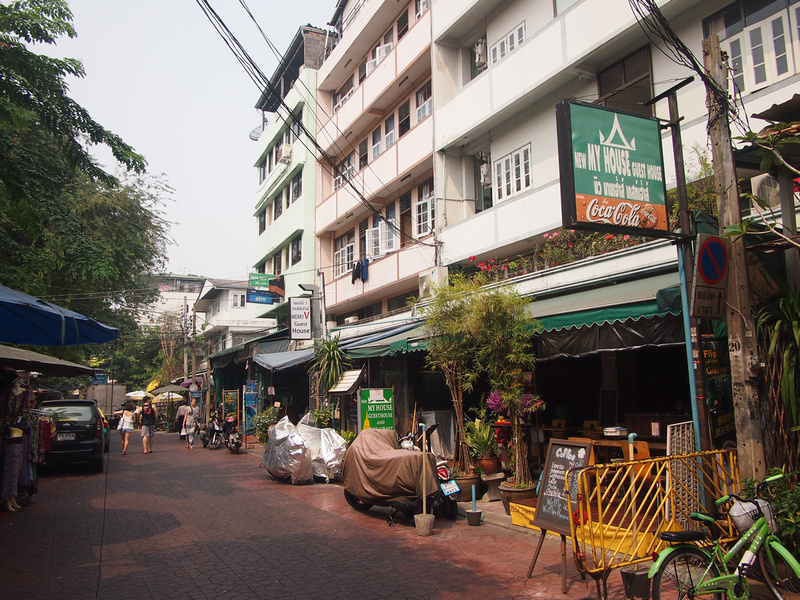 If you prefer to book something in advance then search for more hotels near Khao San Road here. If staying in crappy guesthouses in the backpacker area isn’t your thing then read where else to stay in Bangkok.